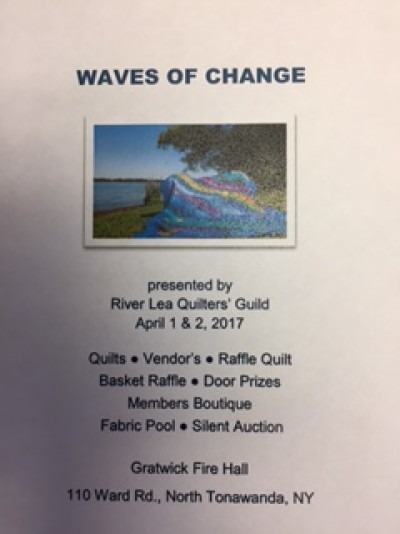 The River Lea Quilters' Guild presents, Waves of Change Quilt Show. Quilts, Vendors, Raffle Quilt, Basket Raffle, Members Boutique, Fabric Pool, Silent Auction and a Food Truck. A Portion of the proceeds to benefit: Friends of the Night People and Stones Buddies. $5.00 at door or $4.00 with a non-perishable food item to be donated to the WNY Food Bank.